Today, many of us take barcodes for granted. They help us keep inventory, sell products, and they help us track the movement of shipments. Today, businesses order Zebra-Ultimate-3000t labels and Zebra-Ultimate-4000 labels without much thought. But the barcode had a pretty humble beginning. The very first product that was scanned using a barcode for checkout was a pack of Wrigley chewing gum. This simple pack of gum had a barcode on it and was scanned at a grocery store in a small town in Ohio. This was on June 26, 1974. Since then, barcodes have become a part of our everyday life. We assume barcode scanners and labels will work seamlessly in helping us accomplish our tasks. Of course, it helps if you have a reliable supplier for your barcode needs like Tri-State Business Systems. TSBS has been serving customers with barcode supplies and equipment for over 20 years. We handle everything that is barcode related. Our customers range from small retailers to large schools and manufacturers. We are proud to list many Fortune 500 and Fortune 1000 Companies among those who do business with Tri-State Business Systems. We can fill your order for Zebra-Ultimate-3000t labels, Zebra-Ultimate-4000 labels or are experienced barcode engineers can design an entire new system for you. We can create a system that is efficient, reliable and effective. If you are currently employing barcodes in your business, we invite you to learn more about Tri-State Business Systems. If you are considering an upgrade or a whole new barcode system, we encourage you to contact us. Many of our customers not only get better, faster service with TSBS, but many end up saving money. Discover our superior customer service for yourself. 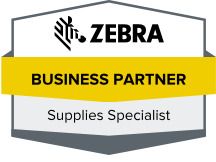 Contact Tri-State Business Systems for your Zebra-Ultimate-3000t labels, Zebra-Ultimate-4000 labels or other supplies that can make your life easier.